An Intersting Case that was Missed! When I was teaching in Monash, I always tell my students that taking a GOOD history and physical examination is the key to making a good diagnosis. Some students felt that my history taking is too deep and not worth doing it. I have proven them wrong at many instances during bedside teaching and they will always look surprised and shocked when I come to a diagnosis just from the history without even looking at the patient! The first thing that striked me when I saw this young patient is when he was wheeled into my room on a wheel chair! Why a young 47-year-old need to use a wheel chair ? When I took the history from the patient, I notice something is not right. He stopped working as an engineer in Singapore 2 years ago and since then has been doing some small time business in town. Last 2 -4 months, he has stopped working all together, so much so that he has gone bankrupt, he had to sell his house and currently staying in a low-budget hotel with his wife!!. He has no children. When I asked him why he stopped working, he answer was ” feel tired/weak and no mood?” The family members who accompanied him said that over the last few months, he was seen to be very quiet, keeps to himself and mentally very slow. In fact, the family came in requesting for a scan!!. On examination, I noticed that he was unable to walk properly, his gait was unsteady. He could not even climb up the couch by himself. Power of the lower limb was reduced to about 3-4/5. Mentally he was slow in response. He did look depressed as well. 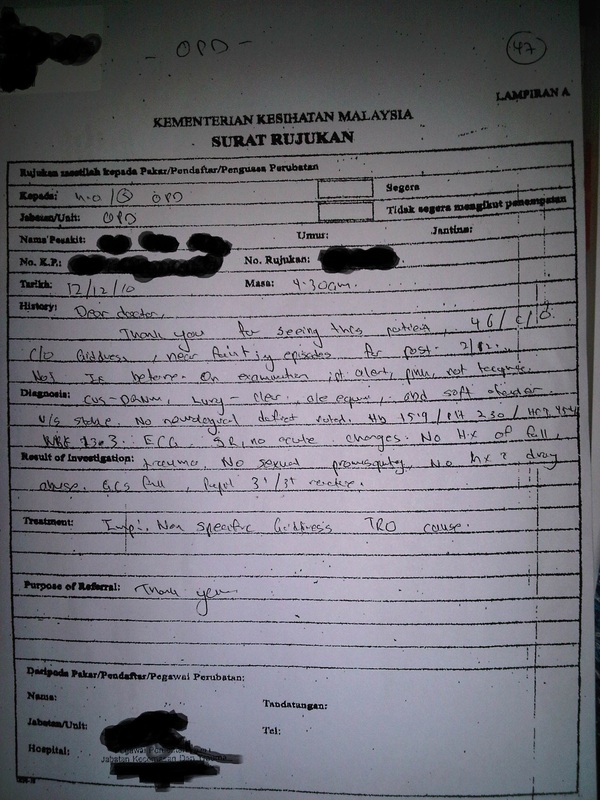 Surprisingly, in the letter of referral to OPD , it is stated that ” no neurological deficit” . Any one would have noticed that this guy is NOT well. If not an organic disease, atleast he has major depression. Even if they have referred to a psychiatry clinic, it is still excusable. 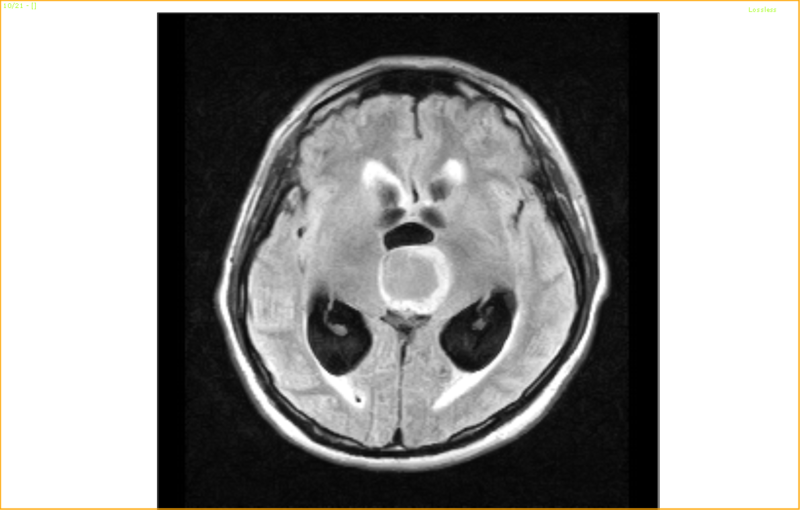 A huge Mass over the upper part of Midbrain causing Obstructive Bilateral Hydrocephalus…………………………. As I said, a good history taking and asking yourself “WHY” is the best way to solve a problem. I am not a medical doctor – your article is really good. I observed residents in the US recently, and the amount of patience with which they ask for history of the patient–their supervisor told me that good history taking is the basics of being a good doctor–what is ahppening to our local doctors-in-training?? Tell me the name of this “doctor” who has a “tidak-apa” attitude. I would not ever want to see him! By the way i find your articles very good..
Well, I never bothered to find out his/her name. The signature is not readable as usual. Thank you for sharing the case. I totally agree with you regarding the importance of history taking. I am a MO currently serving a rural Klinik Kesihatan. We only have very basic lab support and do not have x-rays service at all. Most of the time we have to diagnose cases base on history and physical examination and I personally feel that we can diagnose more than half of the cases base on history alone (what I mean is a good history). This is even worse when we go for flying doctor service as no investigations at all can be carried out in the field. As in this case I personally encountered once in which my mother was the patient. She was initially diagnosed with early stage of large B cell lymphoma by a haematologist after discovering a lump at her gluteal region and staging CT and MRI were done (but no brain scan was done initially). Shortly after that, she developed depressive symptoms including poor eye contact, having low mood most of the time, anhedonia and other depressive symptoms. She had no neurological signs at all (physical examination was conducted by myself as well as the specialist in charge) and therefore, she was treated as depression (she also had past history of depression). During that time, she strongly refused chemotherapy and everyone thought that she was in denial and tried to counsel her but within a week time, her condition deteriorated and when she was referred to the psychiatrist, she was thought to be melancholic because she refused to talk, eat and ambulate. 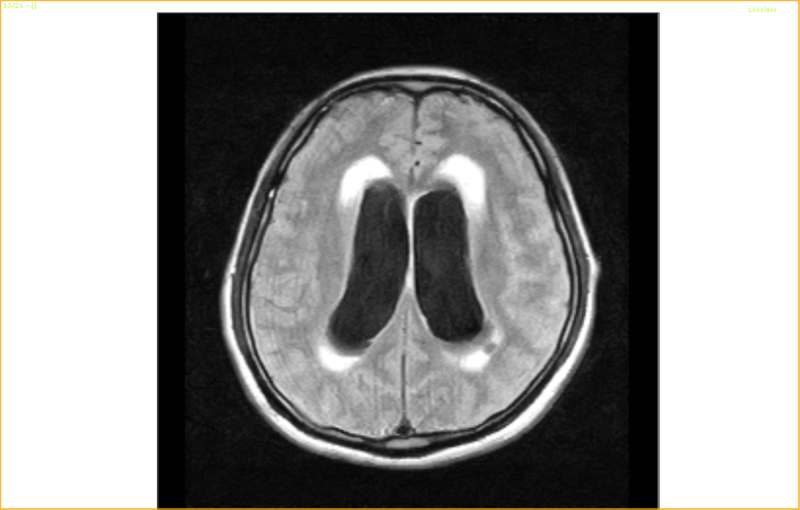 As a routine for psychiatry, they need a brain scan to rule out organic cause and the CT brain unexpectedly (atleast for me) showed some finding and they proceeded with MRI brain. However, she deteriorated very quickly and passed away even before the MRI report was out. Her final report stated that there were some suspected lymphoid filtration of the brain matters. I think in this case, I had not asked myself enough “why” and I missed the big picture of it.